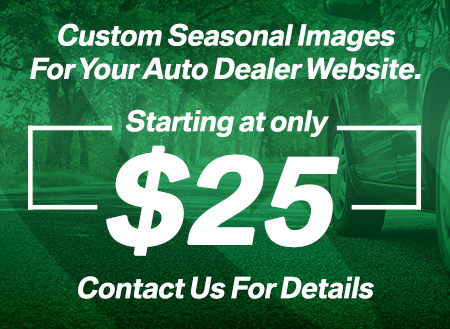 Mananging your Search Engine Optimization is the first step to getting more traffic and leads on your auto dealer website. Here's a few SEO terms you'll need to know. Search Engine: A website or application that crawls the internet, indexes the pages and content, then ranks them based on internal criteria for users who are looking for relevant information. Page Title: The title for a web page set in the code for that page. The title often contains the website or business name, the name or function of that page, and sometimes one or two location descriptors. It also appears at the very top of your browser window on the page name. On your web site, it appears in one additional place: on pages that aren't the homepage for the website, it appears in bold at the top of the content area. Meta-Description: This is a brief description (2-5 sentences) of the page, set in the code for the page. It explains more thoroughly what the page is about and should also make use of expected keywords, location descriptors, etc. On your web site, it appears in one additional place: on pages that aren't the homepage for the website, it appears underneath the bold title at the top of the content area. Sitemap: A file that contains a list of all pages of your web site, as well as links to those pages. Bots/Robots/Spiders: Search Engines compile and store data about web sites for search engine users. Some of the primary areas that bots use for indexing pages is page title, meta-description, content of the web page, and sitemaps. Site Authority: Website Authority is determined by number of backlinks, average visitors over time, visit length, and other browsing patterns. Backlinks: Incoming links to a webpage. When a outside webpage links to any other page, it's called a backlink. More backlinks show search engines that your site is a trusted resource by others on the internet.